Will Machimada Ravindra succeed in replacing K.G. 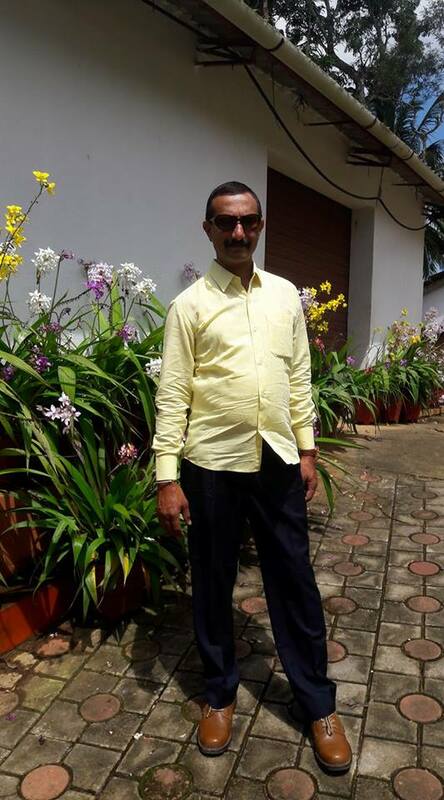 Bopaiah, sitting Virajpet MLA, as the BJP’s candidate in the next Karnataka Assembly elections? The supporters of Ravindra, former Kodagu BJP unit president, have launched a campaign in social media, to pressure the BJP high command to give the ticket to their leader. ‘I Support Machimada Ravindra’ is the Facebook page started by the supporters of Ravindra (in picture). The supporters of Ravindra are mostly the Kodavas. Ravindra, an engineering graduate, has come up from the ranks of Vishwa Hindu Parishat. It is no secret that the supporters of Ravindra are pitted against sitting MLA Bopaiah, an Arebashe Kodagu Gowda. They maintain that Kombarana Ganapathy Bopaiah has driven a wedge between the Kodavas and the Gowdas to serve his political interest which in turn has led to distrust between the Kodavas and Arebashe Gowda communities. According to political observers, though there may be substance in the allegations against Bopaiah that he has successfully played the Gowdas against the Kodavas, there is no clinching evidence to pin down Bopaiah, who has emerged as a shrewd politician. Bopaiah, a former Speaker of the Karnataka Assembly, is a ruthless political operator, who has ensured that there is no other deserving candidate in the BJP who could land a party ticket from the Virajpet constituency. Sources said that Bopaiah is in the good books of former chief minister B.S. Yediyurappa, BJP’s strongman in Karnataka, whom he saved as chief minister while he was the Speaker by a controversial ruling which raised eyebrows and will remain one of the black spots in Bopaiah’s tenure as a Speaker. It is a fact that Bopaiah won with a narrow margin in the last Assembly election. But this was because the Congress had fielded the late B.T. Pradeep, one of the few Congressmen in Karnataka with a clean image. The Congress being a divided house in Kodagu, Bopaiah seems to be the winning horse. However, Bopaiah’s position could become shaky if Ravindra decides to contest as an independent candidate, or fields a candidate to divide the votes of Bopaiah. According to political observers, Bopaiah suffers from the taint of corruption, mainly because of his alleged lobbying for the timber lobby. The role played by Bopaiah in opposing the Kasturirangan report, has exposed him as a politician who is ready to play vote bank politics, even if it takes a toll on the ecology of Kodagu. Bopaiah has to take the blame for failing to protect the long-term of interests of Kodagu.